From freezing to sweating, steaming and soaking, we’ve searched far and wide to find some of the best travel trends and destinations around the world in which you can attain a state of Zen this year. From health retreats in Bali to Vipassana meditation in India, plus silence and spiritual retreats, if your New Year’s Resolution was focused on health and wellness, you’ve come to the right place. In a noisy world, it’s increasingly difficult to find space to think. Enter, the silence retreat. India is the home of the spiritual retreat, silent meditation and Vipassana meditation as well as healing retreats. Practitioners believe once you learn to sit with yourself, you can learn to live with others. 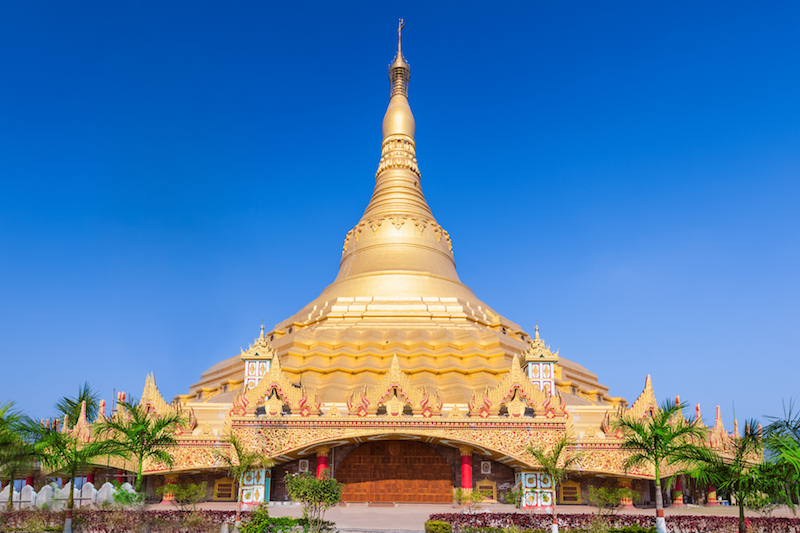 The global Vipassana retreat in Mumbai, India. You’ll also find plenty of wellness centres and health retreats in Bali where you are encouraged to sit in silent contemplation and speak to no one for as long as 10 days, with a little yoga on the side. Looking for a detox retreat? Visit a Hammam – there’s some excellent ones in Turkey, Austria and Morocco – where you will be steamed, soaked, pummelled and scrubbed till you’re glowing from head to toe. 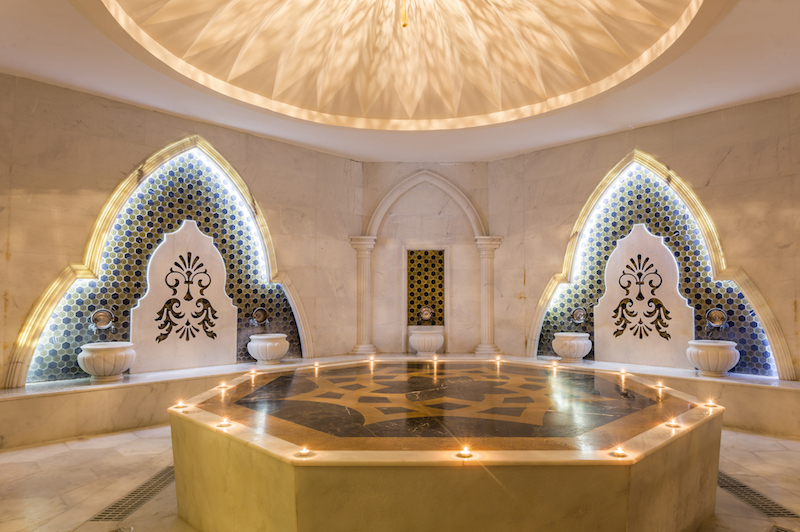 Visitors to this sumptuous hammam, housed in a luxury Turkish hotel, will emerge anew. These confronting treatments are said to be good for emotional and physical blockages, and great for promoting overall relaxation. Purveyors of Hammams maintain that the treatments dilate the pores in the skin, allowing deep cleansing. 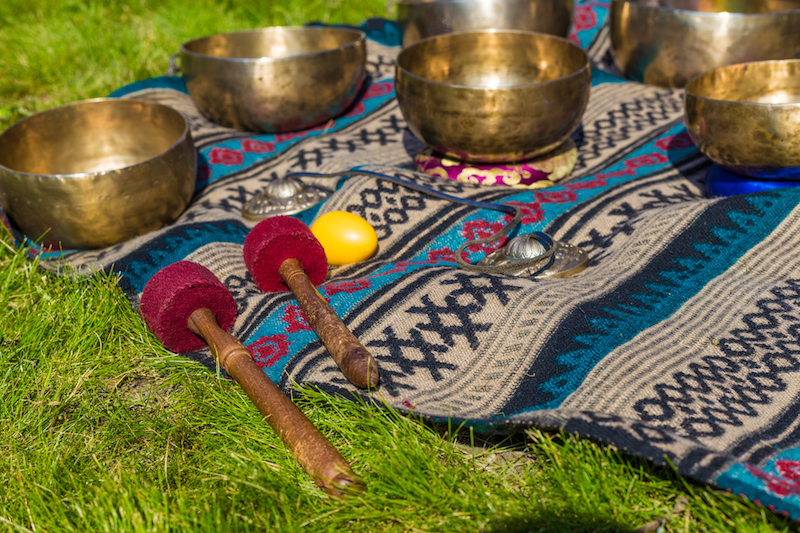 Mediation masters believe certain vibrations contain healing properties, and gong meditation is certainly making a noise among yoga circles. Popular throughout India in healing retreats, as well as across Australia, you simply lie on the floor, and let the soundwaves of various instruments such as the gong, didgeridoo, drums, and cymbals, wash over you. The effects are said to be long lasting and superb for health and wellness. The benefits are believed to be similar to those reaped through Vipassana meditation. Another favourite among those looking for detox retreats are cryotherapy chambers, which have been increasingly popping up around the world. They are popular among the well-heeled of the French Riviera, as well as throughout California and even in Australia. Chill out, they say standing in minus 110 degrees celsius is great stress relief. Here, you enter a chamber set to minus 110 degrees Celsius, and are encouraged to spend three minutes standing or dancing in this freezing fitness retreat that is believed to heal everything from jet lag to insomnia, as well as aid relaxation and reduce stress. Indigenous Canadians have long believed in the healing properties of their ancient sweat lodges; tepee-like structures heated to around 50 degrees in which you sit around hot coals, and ask your ancestors life’s biggest questions. For this ethereal experience and spiritual retreat head to Vancouver or Alaska. 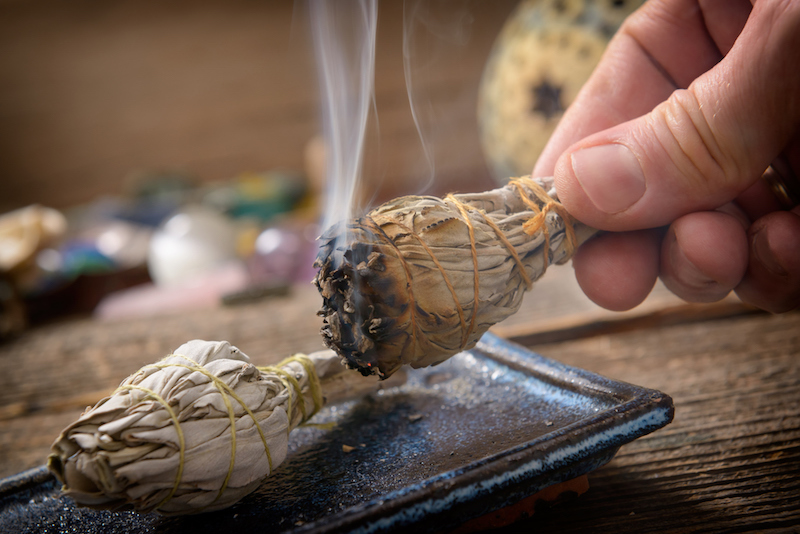 The healing properties of sage burning have been espoused for centuries. Smudging also calls on the ancients and you can find the pursuit in Australia, Canada and America within Indigenous communities. Known as a “smoking ceremony”, you can join tribal Elders for this ritual that involves swirling smoke over your body, aiming to ward off evil spirits. Sage is often burned simultaneously for its known healing properties. Christine Retschlag is an award-winning Australian travel writer who has worked in newspapers, magazines and online for the past 27 years in Australia, Hong Kong, London and Singapore. In 2006, she won the Australian Travel Writer of the Year award for Best Trade Story as well as the Jack Butters Memorial Award for Travel Writing Excellence. In 2007 she won Best Australian Story over 1000 words and in 2014 won Best Food Travel Story.